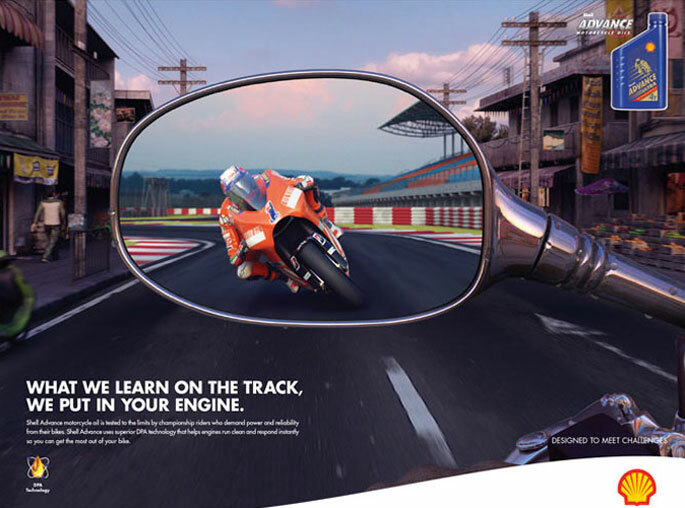 We created a series of 3D CGI images to promote Shell’s new Advance motorcycle oil. Each day we provided progress images and updates. This is a great way to work as it shows our client our daily progress and allows any errors to be rectified sooner rather than later. This image was the First image of three in the campaign.